Horrible and insane is the daring of those who maintain that salvation may be hoped for in every religion or sect which men have professed, as long as they strive as hard as they can for innocence and integrity of life according to the light which has been put in them by nature, for plagues of this kind are condemned by the authority of Holy Writ. For there the one and only name of Jesus Christ is commended to us, that all salvation may come to us from him. They also are to be had accursed that presume to say, That every man shall be saved by the Law or Sect which he professeth, so that he be diligent to frame his life according to that Law, and the light of Nature. For holy Scripture doth set out unto us only the Name of Jesus Christ, whereby men must be saved. Like article 17 that preceded it, article 18 is unchanged from Cranmer’s original. Its original and later titles give us the clue we need that the reference here is not to pagans, but to nominal Christians. Cranmer’s more pastoral consequence of article 17 for the Christian, “We Must Trust to Obtain Eternal Salvation Only by the Name of Christ” becomes 1571’s slightly more abstract, “Of Obtaining Eternal Salvation…” It is Christ alone who saves us. Another clue is a historical one. Few people in England had any non-Christian neighbors at that time. Americans may know of the expulsion of the Jews from Spain in 1492 perhaps do not realize that the Jews had been expelled from England far earlier: by King Edward I in 1290! Jews were not readmitted to the country until 1656 under Oliver Cromwell and full emancipation in England of their civil rights had to wait until 1858. The article does not address other religions in the modern sense of religious pluralism but remains fixed on the visible Church. So, we must ask the question, “Does this article have any relevance for us today? Surely no church today is interested in practicing religious oppression!” Here we must be blunt. The worst enemies of the gospel are the ministers and members of the mainline Christian churches. They preach another gospel far removed from the exclusive claims of Christ, instead, their teaching proclaims that every person is saved by the rule of life they create and profess, being morally superior to the baser sort because they make an effort to live by that rule–precisely what the article condemns as accursed! Such blasphemy cannot tolerate the truth thus every opportunity is taken to criticize and condemn those who insist on proclaiming the truth of the gospel. 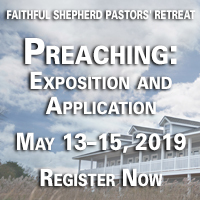 The last twenty years of the Episcopal Church in the United States bears testimony to this intolerance in how it has sought to oppress faithful gospel churches by means of the ecclesiastical inhibition and deposition of its ministers, and by means of the secular courts. The Episcopal Church, as of 2015, has spent an excess of sixty million dollars in litigation in their version of an ecclesiastical Jarndyce v. Jarndyce. As the court cases drone on, faithful ministers and congregations are left broken and bereft. New Anglican provinces have arisen, faithful Anglican provinces have provided alternative episcopal oversight to minister and to care for these clergy and churches. The issue is that it is impossible to share the biblical gospel without sharing the truth claims that it makes. Article 18 rightly explains that we cannot simply relax and assume that some nominal Christian will be saved because they are being faithful in their error. We must share with them the truth of the gospel: eternal life by faith alone in the one Savior and Lord, Jesus Christ. To do otherwise is blasphemous because it misrepresents what Christ himself said and overthrows his divine authority. In his farewell discourse to his disciples, the night before the cross, in John 14:6, the Lord Jesus reveals to us the way to God and heaven. He says: “I am the Way, and the Truth, and the Life; no one comes to the Father except through me.” As God come to earth, Jesus has the right to tell us the way to heaven. Crucially, Jesus also goes onto the negative: “no one comes to the Father except through me.” That is, the only way for human beings to know God as our heavenly Father is through faith and knowledge in Jesus Christ as God and Savior (John 20.30-31). Article 18 rightly concludes this section of the Thirty-Nine Articles begun in article 9. And it does so with a supreme comfort to the committed Christian and a particular challenge to the nominal one. The believing Christian can have the assurance that we have Christ and are saved because God himself has decreed it. It is not the quality of our faith, but the power of God who guarantees it. It also shakes the nominal Christian from their vagueness and complacency to declare that there is only one Way to be saved because Jesus Christ is the unique and exclusive Savior. Meet the Puritans is a conversation of the Alliance of Confessing Evangelicals. It is supported only by its readers and gracious Christians like you. Please prayerfully consider supporting us. The Alliance of Confessing Evangelicals is member supported and operates only by your faithful support. Thank you. Want to make 2019 memorable? 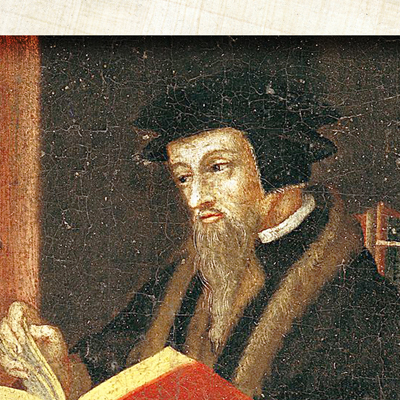 Try reading through John Calvin's Institutes using the Alliance reading schedule! The Alliance is a coalition of pastors, scholars, and churchmen who hold the historic creeds and confessions of the Reformed faith and who proclaim biblical doctrine in order to foster a Reformed awakening in today's Church.